Carson City-Crystal Area Schools received their Utility Incentive check for the energy upgrades they made to their school district. They completed projects at their high school and elementary school with the services of Grand Valley Automation, including building automation system upgrades in each facility. Variable Frequency Drives were also installed on multiple pumps and process fans to further reduce energy consumption. More info on the school district can be found here. These energy upgrades qualified the school district for Utility Incentives through the Consumers Energy and DTE Energy Incentive Programs. 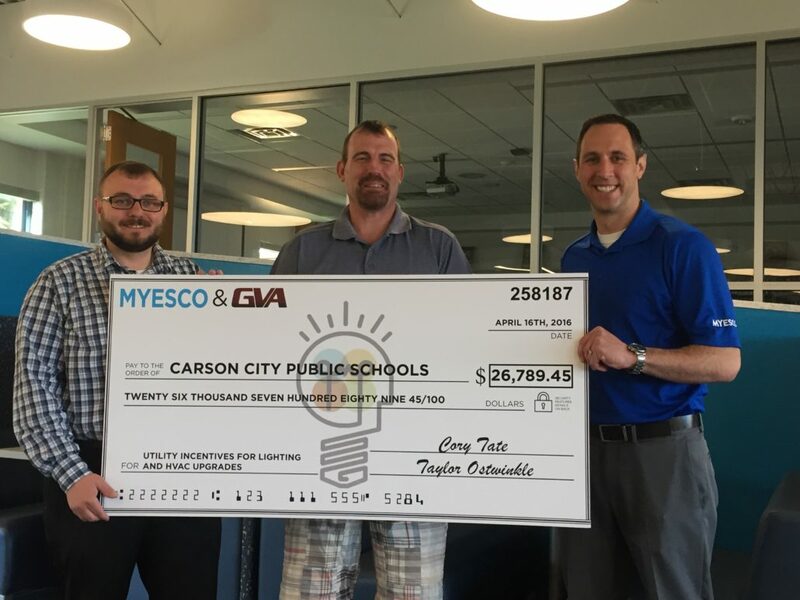 MYESCO (a registered CE and DTE Trade Ally) processed applications that resulted in Carson City-Crystal Area Schools receiving a check for $26,789 from Consumers Energy and DTE. If you are a school district working to make changes to your facilities, contact us today to see how we can help maximize your funds. We partner with your construction manager or construction team to secure available incentives that your project qualifies for.